Carnival Cruise Lines will increase capacity on its seven-day Southern Caribbean itineraries from San Juan, as well as on its four- and five-day cruises from Miami, deploying newer, larger ships in both markets. The 2,974-passenger Carnival Valor will launch a five-port, seven-day schedule from San Juan beginning Feb. 10, 2013, becoming the newest and largest ship to operate year-round from that port. Carnival Valor will replace the 2,758-passenger Carnival Victory, which will reposition from San Juan to Miami to assume the Carnival Destiny’s four- and five-day cruises beginning Feb. 4, 2013. Carnival Victory will be the newest and largest ship to operate year-round four- and five-day voyages from South Florida. Additionally, Carnival Destiny will offer a 16-day transatlantic crossing departing Miami Feb. 4 and arriving Civitavecchia (Rome) on Feb. 20, 2013. Featured ports on the crossing include Ponta Delgada (Azores), Portugal; Malaga, Spain; Monte Carlo, Monaco; and Genoa and Livorno, Italy. Details on the Carnival Destiny’s deployment following the trans-Atlantic crossing will be announced at a later date. 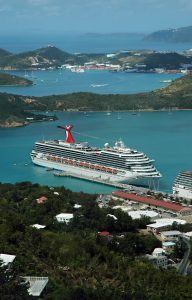 Beginning Feb. 10, 2013, Carnival Valor will launch seven-day Southern Caribbean sailings from San Juan becoming the port’s newest and largest year-round ship. 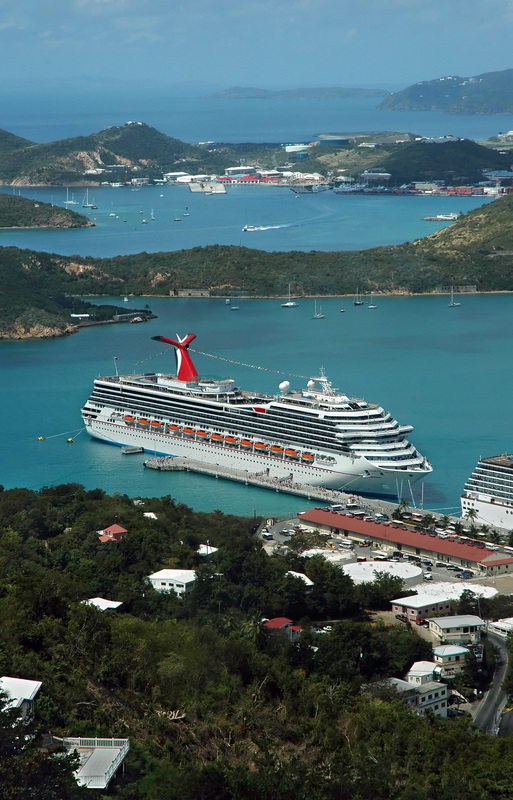 The itinerary features extended calls at five tropical islands – St. Thomas, U.S.V.I. ; Bridgetown, Barbados; St. Lucia, West Indies; St. Kitts, West Indies; and St. Maarten, Netherlands Antilles. In addition to featuring some of the Caribbean’s most beautiful beaches, these seaside destinations are known for their world-class snorkeling and scuba diving, as well as water sports opportunities. Carnival Victory will become the newest and largest ship to offer year-round four- and five-day cruises from Miami when it launches service on Feb. 4, 2013. Carnival Victory’s Miami-based schedule features three distinctly different itineraries, providing consumers with a variety of convenient and affordable cruise options departing from one of America’s top tourist destinations. Four-day “long weekend” cruises departing Thursdays call at Key West, Fla., and Cozumel,Mexico; five-day cruises departing Mondays include stops at Grand Turk, Turks & Caicos Islands; the private Bahamian island of HalfMoon Cay; and Nassau, Bahamas. Five-day voyages departing Saturdays feature George Town, Grand Cayman; and Ocho Rios, Jamaica. Each of these destinations offers a truly unique vacation experience, with miles of gorgeous white-sand beaches and an interesting array of shore excursion choices such as zip-lining, horseback riding, kayaking, and more. Carnival Victory will also offer a one-of-a-kind eight-day cruise from San Juan to Miami departing Jan. 27, 2013, with stops at St. Thomas, Aruba, Curacao and Nassau, while Carnival Valor will feature a one-time seven-day cruise from Miami to San Juan departing on Feb. 3, 2013, visiting Grand Turk, Antigua, St. Kitts and St. Thomas.